TNC’s manager, Paulo Sy got fired after Valve banned Kuku from The Chongqing Major. 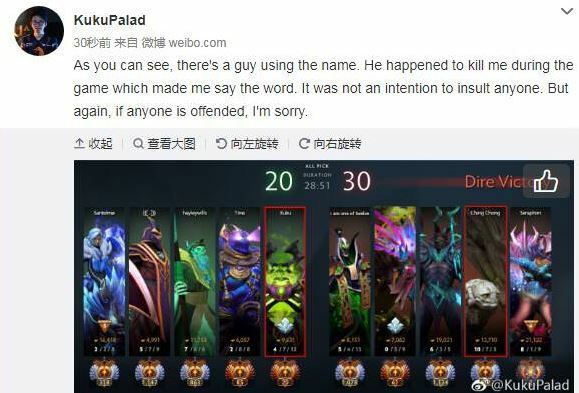 Paulo made a post using Kuku’s Weibo account, trying to cover up the situation by saying that Kuku wasn’t being racist but just mocking one of the opponents (because his in-game nick was ching chong at the time). Later it was discovered that the player did not have that nickname during the game and that he actually changed it after Kuku made the comment. This fueled the fire and made the situation much worse than it was. Valve made it abundantly clear that they banned Kuku because TNC handled the situation very poorly from the beginning. This makes Paulo as responsible as Kuku himself for the whole situation. He deserves to get fired for making things much worse instead of fixing them. Later, we got news that TNC’s sponsor 竞技宝 will not continue to sponsor the team anymore. 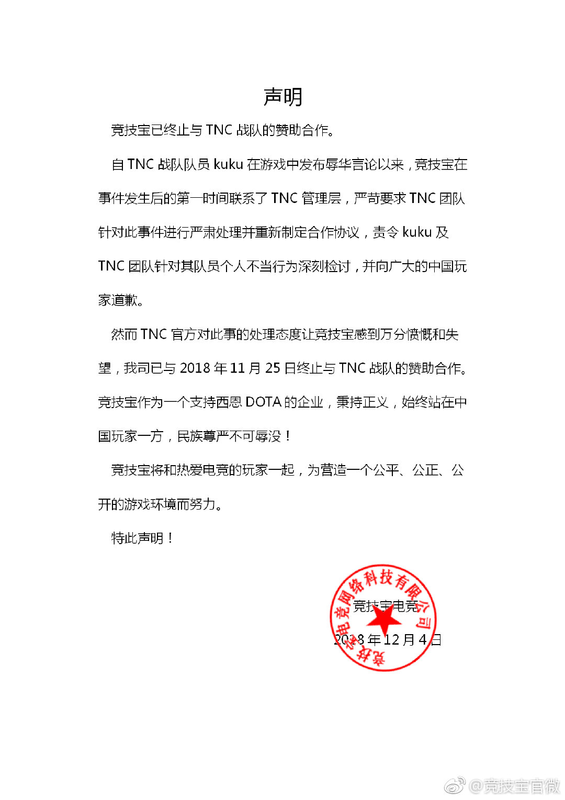 They made a post on Weibo stating that they were really disappointed and irritated as to how TNC handled the entire situation and have thus decided to stop being partners with them. Things are getting worse and worse for TNC as time goes on. Hopefully they will be able to recover from all the blows that they have received from the Chinese community’s backlash.